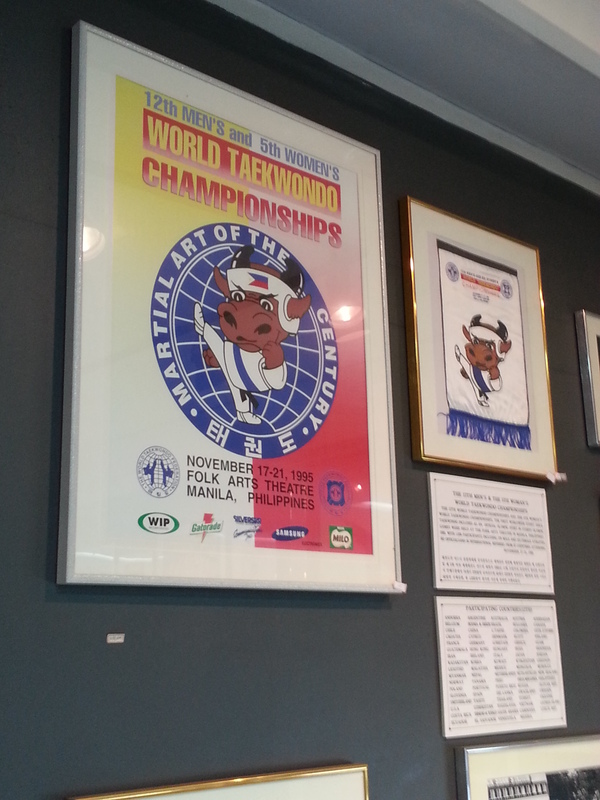 On my last day in Korea, I took my second pilgrimage to Kukkiwon, World Taekwondo Headquarters. 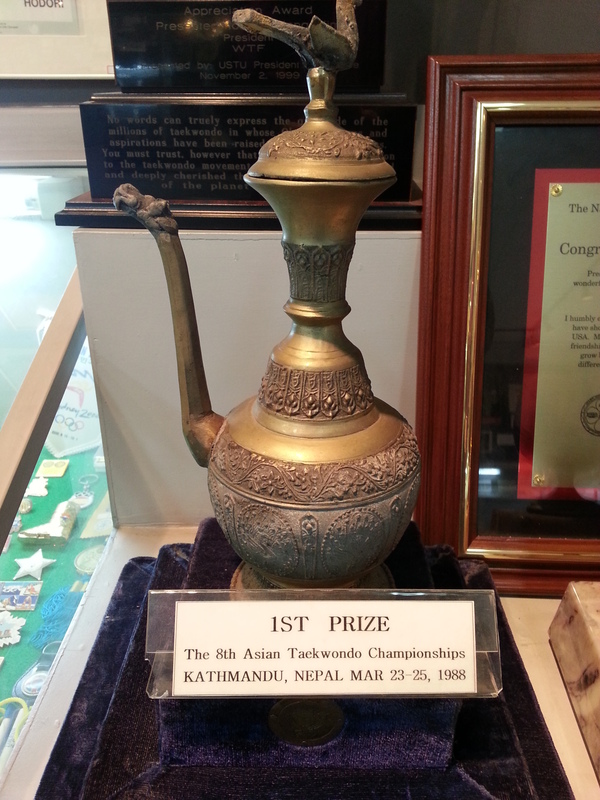 I’m kidding about the pilgrimage; I wanted to go shopping in the taekwondo stores on the way. At Kukkiwon, it was amazing to see a class in progress. Look: adults! People my height, if not taller! 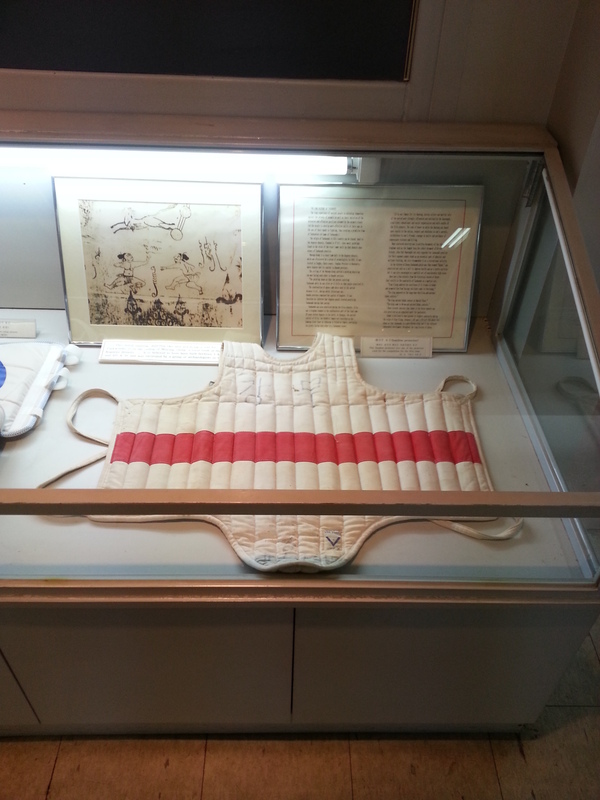 Round the corner from the gym and above the cafeteria, I walked up to the Kukkiwon Museum, which was closed the last time I was there. 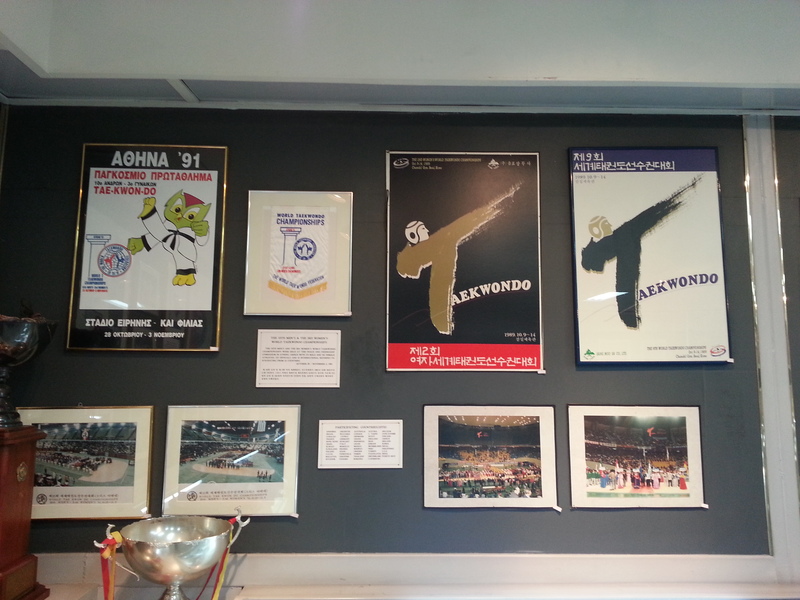 It was fascinating to see all this memorabilia from competitions around the world. I’m remembering my first pilgrimage here.